BIRTH: 18 October 1595 at Droitwich, co. Worcester, England, son of Edward and Magdalene (Oliver) Winslow. BAPTIZED: 20 October 1595 at St. Peter's, Droitwich, co. Worcester, England. FIRST MARRIAGE: Elizabeth Barker, at Leiden, Holland, banns posted April 28, May 5, and May 12, 1618. SECOND MARRIAGE: Susanna (Jackson) White, widow of William White and daughter of Richard Jackson, on 12 May 1621 at Plymouth. CHILDREN (all by Susanna): unnamed child who died young; Edward, John, Josiah, and Elizabeth. 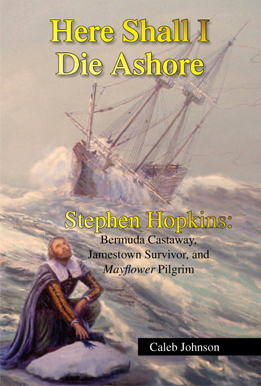 DEATH: 8 May 1655 at sea between Hispaniola and Jamaica. This portrait of Edward Winslow was done in London in 1651. 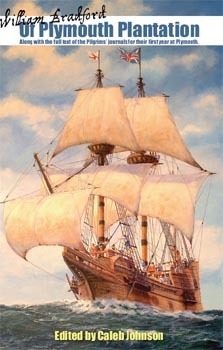 It is the only well-authenticated portrait of a Mayflower passenger. It is on display at the Pilgrim Hall Museum in Plymouth. Edward Winslow was born in Droitwich, co. Worcester in 1595. He was traveling in the Low Countries, and subsequently became acquainted with the Pilgrims' church in Leiden. He was married in Leiden in 1618 to Elizabeth Barker, and was called a printer of London at the time. It is quite possible he was assisting William Brewster and Thomas Brewer in their publishing of religious books that were illegal in England. 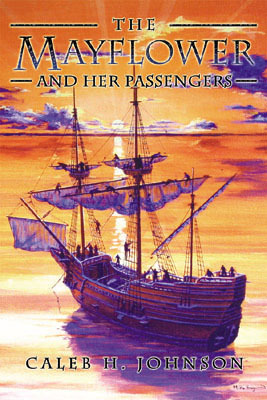 Edward Winslow and wife Elizabeth came on the Mayflower to Plymouth in 1620. Elizabeth died the first winter, and Edward remarried to the widowed Susanna (Jackson) White, on 12 May 1621--the first marriage in the Plymouth Colony. Winslow quickly became one of the more prominent men in the colony. He was on many of the early explorations of Cape Cod, and led a number of expeditions to meet and trade with the Indians. He wrote several first-hand accounts of these early years, including portions of A Relation or Journal of the Proceedings of the Plantation Settled at Plymouth (London, 1622) and the entirety of Good News from New England (London, 1624). A Mortar and Pestle that is believed to have been owned by Edward Winslow. It is on display at the Pilgrim Hall Museum in Plymouth. Edward Winslow became involved in defending the Plymouth and later Massachusetts Bay Colonies from their opponents and adversaries in England, and made several trips back and forth between England and Massachusetts, including trips in 1623/4, 1630, and 1634; on one occasion he was arrested and thrown into the Fleet Prison in London by his adversaries, on grounds that he had performed marriage ceremonies without being ordained (the Pilgrims viewed marriage as an event to be handled by the civil magistrates, not by the Church). Winslow returned to England shortly after the English Civil War, and published a couple of pamphlets in defense of the New England colonies, including Hypocrisy Unmasked (1646) andNew England's Salamander Discovered (1647). He also wrote the introduction to the Glorious Progress of the Gospel Amongst the Indians in New England (1649). In Plymouth, he held a number of political offices, as was routinely elected an assistant to Governor William Bradford; Winslow himself was elected governor of Plymouth on three occasions: 1632/3, 1635/6, and 1644. After Winslow returned to England, he was on several Parliamentary committees. He died in 1655 at sea between Hispaniola and Jamaica, while serving as a commissioner for Oliver Cromwell on a military expedition to retake the island of Hispaniola. Edward Winslow on his visit to the Wampanoag in 1621, as depicted for the documentary "Desperate Crossing." Promotional image courtesy of Lone Wolf Documentary Group.